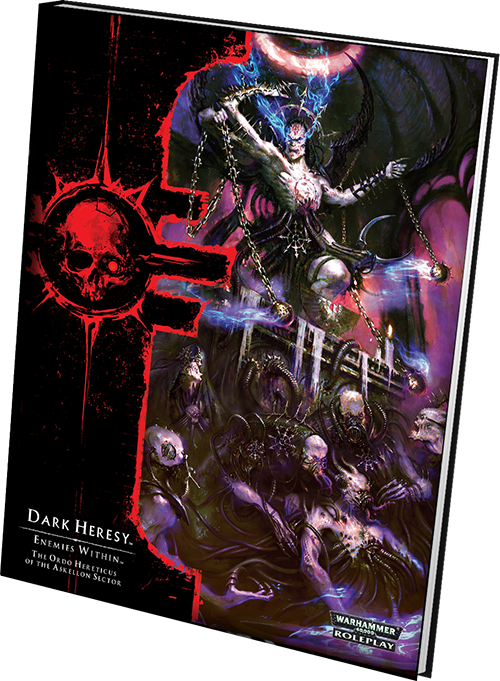 9 April 2015 | Dark Heresy 2nd Ed. The sickness and heresy that plague the Askellon sector grow worse with every passing day. Witches, heretics, and mutants spread their corrupting influence in every realm of society, from the lowest hive city slums to the greatest palaces of the highborn. Wherever heresy may manifest, it is your solemn duty to cleanse its foetid stain with holy fire. Take up your flamer and defend the Imperium against its most insidious foes with the Enemies Within supplement, now available for Dark Heresy Second Edition at your local retailer and online through our webstore! 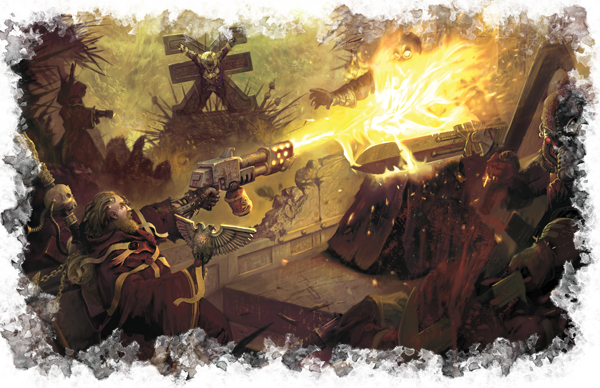 In Enemies Within, you enter the Ordo Hereticus, the branch of the Inquisition dedicated to the destruction of those who would bring down the Imperium from within. Game Masters find plenty of new cults for players to encounter on planets scattered throughout the Askellon sector. At the same time, you’ll gain new options for character creation and for equipping your Acolytes with the specialised equipment of the Ordo Hereticus. The heart of Man is capable of boundless evil. 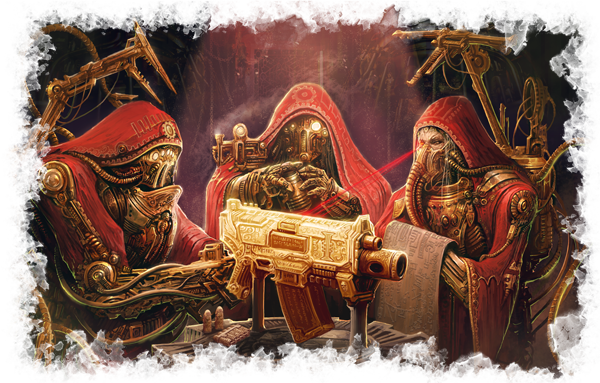 Hundreds of thousands stray from the light of the Emperor every day, and only the purifying fire of the Ordo Hereticus can redeem their souls. But before you can pursue the glorious work of rooting out heresy from the Imperium, you must find the heretics who dare to skulk in the shadows, gibbering their foul prayers to the gods of Chaos. As we explored in Tim Cox’s designer diary, Enemies Within introduces new rules for allowing Acolytes to stage Inquests. During an Inquest, you and your fellow Acolytes must plan and determine the target and scope of your Inquest. By uncovering clues and evidence, the Acolytes draw closer to a dramatic confrontation with the target of their Inquest, but complications are certain to arise along the way. These new rules allow Game Masters to add more structure to an adventure, while simultaneously allowing Acolytes to take a greater hand in the planning of their investigations. Players also gain new options for creating and customizing their Acolytes. Developer Tim Huckelbery gave details on the new home worlds, backgrounds, and gear available to you in Enemies Within. For the first time in Dark Heresy Second Edition, you can choose a productive agri-world, a technologically frozen feudal world, or a harsh and unforgiving frontier world as your home world. 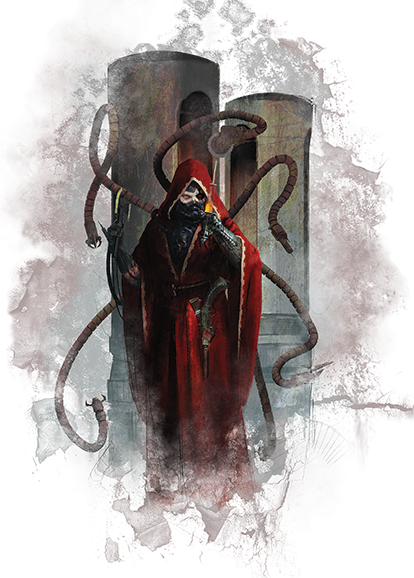 You’ll also choose between exciting new character roles and backgrounds, allowing you to play as a Fanatic member of the Adepta Sororitas, a Penitent mutant, or any number of other new character types. You may even pursue your advancement in the Adepta Sororitas further and become a Sister of Battle with a new elite advance! Of course, these are far from the only benefits offered in this new supplement. You will also uncover additional details on a host of new Askellian planets and the specific heresies and dangers that fester on each world. Between these examples and new cult and plot generators, every Game Master finds the seeds to start hundreds of adventures across the Askellon sector. This information can even be combined with a chapter on the history of the Ordo Hereticus in the Askellon sector, inviting Acolytes to confront perils from the past or long-dormant heresies. In the Askellon sector, the threat of Chaos is omnipresent. You fight for the sector to survive just one more day, but hundreds of cultists hasten the advance of evil with their rituals and rites. If the billions of men and women in the Askellon sector will live to see another dawn, you must not shirk your duty – steel your resolve, light the pyres, and join the Witch Hunters! Pick up your copy of Enemies Within at your local retailer today!